Both 6061 and 6063 are common used aluminum alloy for extruded profiles. These two kinds of aluminum alloys belong to the Al-Mg-Si system, but have different main alloy elements, and the content of Mg, Si and Cr of 6061 is higher than that of 6063. As shown below. The main alloy elements of 6063 aluminum alloy are magnesium and silicon. Excellent processing properties, excellent weldability, extrudability and electroplating, good corrosion resistance and toughness. It is easy to polish, has an upper coating, and has excellent anodizing effect. 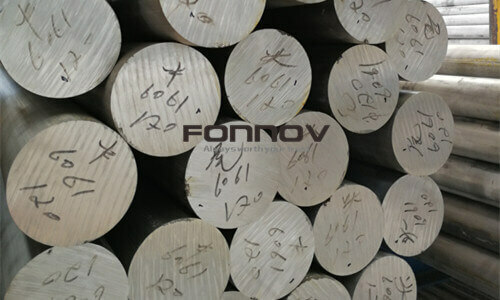 It is a typical extruded alloy. 6063 is a very comprehensive aluminum alloy material with high strength, wear resistance, corrosion resistance and high temperature resistance. It can be used in both architectural and industrial profiles. Commonly used in the construction of aluminum alloy doors and windows, curtain walls, various industrial frame structures, rail transit, aerospace, military equipment, automated conveyor equipment and other fields. 6061 is a high quality aluminum alloy material with high toughness, good weldability and corrosion resistance. 6061 requires industrial structural parts with certain strength, weldability and high corrosion resistance. It can be used in trucks, ships, aerospace installations, trucks, trams, molds, electronics, furniture, corrosion-resistant structures. The 6061 grade aluminum profile performs better than 6063 in strength and machinability, and also has good oxidation resistance. However, in terms of plasticity, the 6063 aluminum profile is superior, it can make the material achieve higher precision; 6063 has higher tensile strength and yield strength, showing better fracture toughness. Mechanical properties are as follows. From the performance point of view, the mechanical properties of 6061 is slightly better.